Many are aware of the London congestion charges but few really understand the ins and outs of what it entails. The Congestion Charge costs £11.50 per day when driving vehicles through certain areas in the capital. Failure to pay will result in a penalty which varies in price depending on how quickly the recipient pays it. For drivers who are planning on taking their car to the capital, it is vital that they know when and where the scheme operates, who is affected by it and how they can go about paying. When does the scheme operate? The Congestion Charge operates throughout Central London between 07:00 and 18:00 all year round between Monday and Friday. It does not run on weekends, public holidays or on the days between Christmas Day and New Year's Day with those two occasions included. 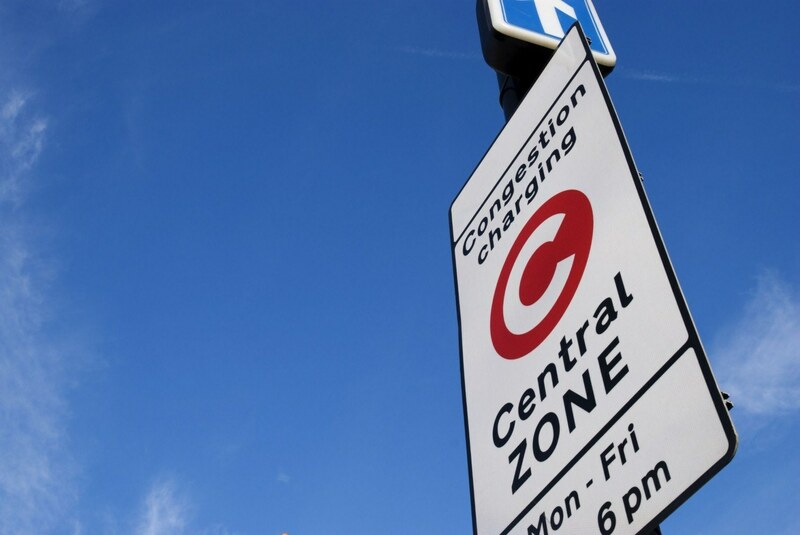 Once a vehicle has entered the Congestion Charge zone, they only need to pay once regardless of how many times they drive in and out of Central London on that day. Most vehicles travelling through Central London must pay the Congestion Charge; however, there are exceptions to this and discounts for certain drivers. Certain types of vehicles are exempt from the Congestion Charge. These include motorbikes, mopeds, ambulances, fire engines, certain NHS vehicles that do not pay road tax and vehicles that are used by disabled people and carry a disabled taxation class. Some other types of vehicle can apply to be considered exempt from the congestion charge. These include buses, coastguard vehicles, certain operational vehicles used by London boroughs, armed forces vehicles, Royal Parks Agency vehicles and breakdown organisations. People who have a Blue Badge for use in the European Economic Area can register not to pay the Congestion Charge, regardless of whether they own a vehicle or drive. Up to two vehicles that this person often uses to travel in can be registered. There is a £10 charge to register for the Blue Badge discount and this will need to be renewed within 90 days of the badge's expiry date for the owner not to incur the charge again. Low emission car drivers could also apply to not have to pay for the Congestion Charge. They are eligible if their car emits 75 g/km or less of carbon dioxide emissions and meets the Euro 5 standard for air quality. It costs £10 per vehicle to register and must be renewed annually. Drivers of motor tricycle vehicles can apply to not have to pay the Congestion Charge if the vehicle is one metre or less wide and two metres or less long. To do this, they must apply in writing and send in photographs of the vehicle, a copy of the registration document and a £10 registration charge. Those living in areas where the Congestion Charge applies get a 90 per cent discount, as do people in certain areas around the Congestion Charge zone such as Victoria station. However, to get the residents' discount, people living in these areas must apply either online or by post and will need to pay an annual charge of £10. Drivers can pay for the Congestion Charge online, using the CC Auto Pay function, by text message, over the phone, through the automated telephone service or by post. Generally the easiest way to pay is to register for CC Auto Pay. This is an automated payment system that records the number of days that a vehicle enters the Congestion Charge zone each month and bills their debit or credit card accordingly. This reduces the risk of forgetting to pay the charge and incurring a penalty charge notice. Drivers using CC Auto Pay will also have a reduced daily charge of £10.50. Otherwise, drivers can pay up to 90 days in advance of or by midnight of the day when they travel in the Congestion Charge zone at a cost of £11.50. They can also pay the next day online or over the phone up until midnight at a cost of £14, although if it is a Friday on which they drive then they have until midnight on the following Monday to pay. Rising motoring charges are a fact of modern vehicle travel. Check out our Breakdown Repair Insurance offer for a fast and friendly online quote to help keep unexpected costs down when your car needs help the most. Get a fast online quote now with startrescue.co.uk. Advanced driving courses: What are the advantages? Company cars: Are they worth it financially? Do I need GAP insurance? What is GAP insurance?